Heyyyy. Remember when I wrote a chunk about frenums’ skeleton comics from tumblr? I also interviewed her a little! Then set it aside to ripen, naturally; we definitely did not forget I had it. No sir. Alison, or frenums, is a cartoonist of great skill. She’s still a minor. Pretty cool. Pay attention. Perpetual Flux is a webcomic by Julie Olson and Kat Haynes, running since February 2012. The art catches the eye and invites the reader to enter a horrific story about blood-drinking creatures, death and mystery. The world they constructed is full of fantasy and steampunk references, the plot gets the reader turning pages frantically. If you haven’t been reading Amelia Cole you don’t know what you’re missing out on! 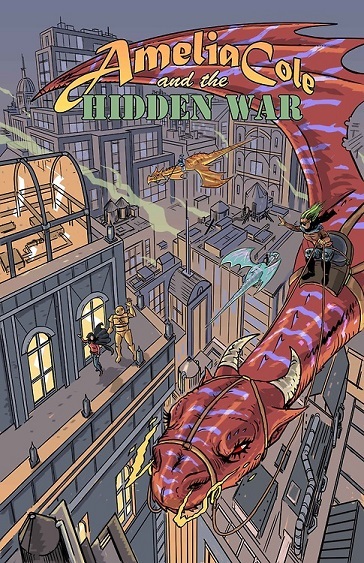 This fun, all ages comic full of magic and dragons features a really down to earth female lead and great adventure. I’d like to welcome the awesome co-writers of Amelia Cole— D.J. Kirkbride and Adam P. Knave! Introduce yourselves, guys.